Host was throwing bride a 50's kitchen themed bridal shower. 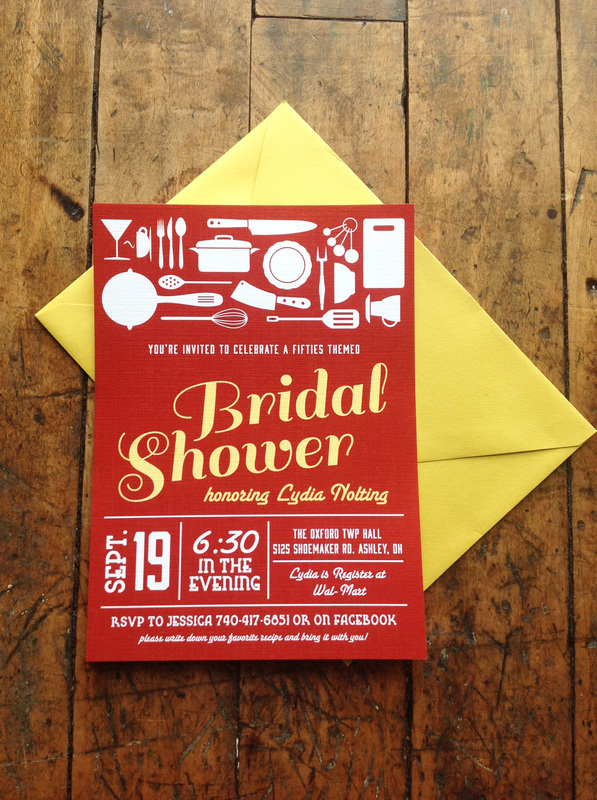 Invitations were printed in iconic fifties yellow and red color scheme on linen textures cardstock. 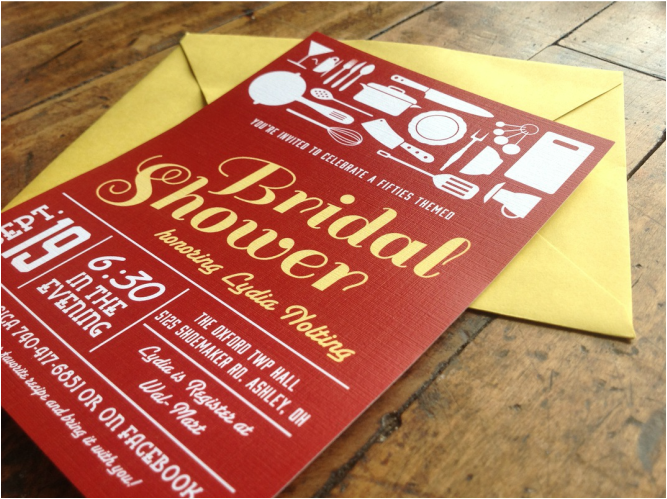 Kitchen utensil art was used to establish the kitchen theme, and fun decade appropriate typefaces.